One glance at a book and you hear the voice of another person, perhaps someone dead for 1 000 years. To read is to voyage through time. It pays to keep an open mind, but not so open your brains fall out. 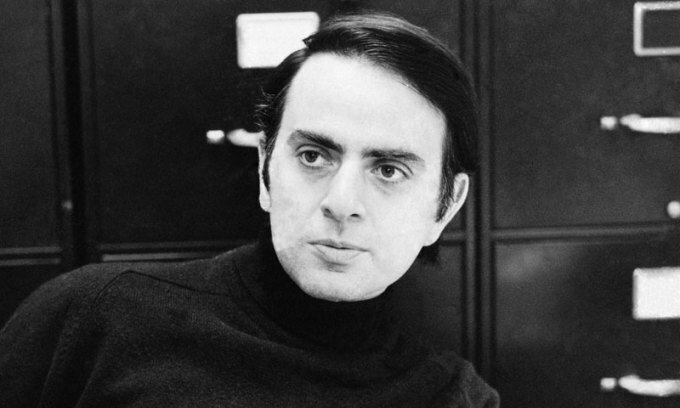 Carl Sagan was an American astronomer, cosmologist, astrophysicist, and author. He is best remembered as a science populariser and science communicator, who wrote, produced, and narrated the television series Cosmos. The book, Cosmos came out in 1980, and was on The New York Times bestseller list for 7 weeks. Sagan was author, co-author or editor of 20 books, including The Dragons of Eden , which won a Pulitzer, Pale Blue Dot , and The Demon-Haunted World: Science as a Candle in the Dark , his hardest-hitting work on religion.